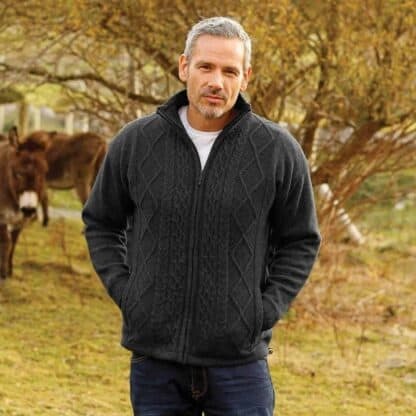 Men’s full zip Irish wool sweater, gray. Fully lined interior for extra warmth. Front pockets. 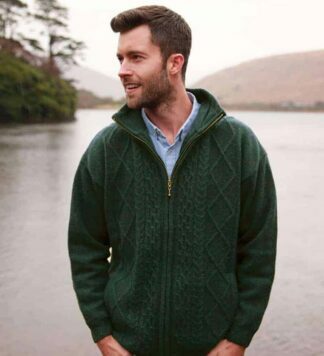 This carefully crafted garment reflects the rich history of Ireland’s enchanted isle. Heavyweight and versatile full-zipped jacket gives a modern flair to the longstanding tradition of the Irish wool sweater. Lined with windproof fabric. Traditional stitch pattern from the famed Aran Islands. 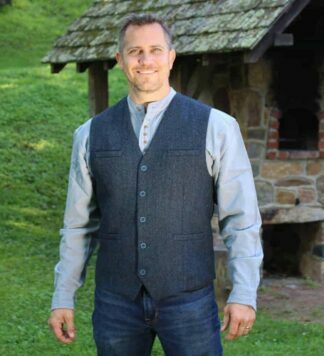 This warm, durable sweater is a stylish addition to any look especially on a chilly day. I ordered the wool sweater for my father in law and when it arrived it was so nice and the quality of the sweater was first class that my husband also wanted one!! !